I hope everyone is not working too hard--and if you are here's a great study break! We have some information about this week's Team of the Week-Team 36! Their dedication to their patient is tremendous, and they are too! What do you enjoy most about Promise Clinic? M1 Greg Brody says, "I love the experience working with my team. I have learned so much from them already, from bed side manner and compassionate listening, to writing an official note and presenting it to the attending. I am so lucky to be given the opportunity to work at Promise Clinic and very grateful for my amazing team." M2 Christine Tolias- "I love that Promise Clinic is such an amazing learning opportunity for medical students in addition to being a way for us to reach out and help the New Brunswick community." M3 Rupal Parikh- "Developing really close relationships with lifelong mentors and mentees while also having the opportunity to learn, teach, and serve." 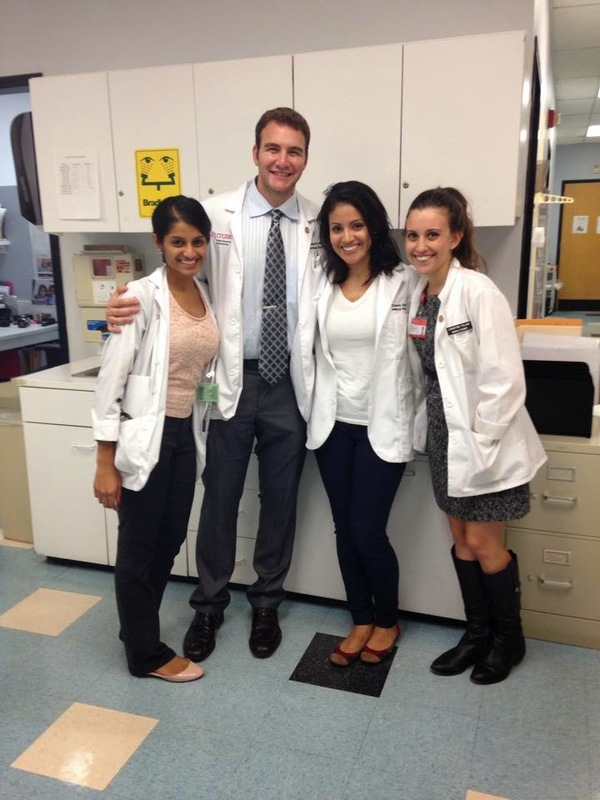 Our student doctors really enjoy being able to serve those in our community! M1 Greg- "Peanut Butter and Jelly sandwiches. They have the perfect combination of protein, complex carbohydrates, and simple sugars, not to mention, they are the most delicious thing in the entire universe." M2 Christine- "Olives because I'm Greek." Daniela- keep up the amazing work on your 4th year rotations! We know how busy you are and we are grateful for your commitment to our organization. We are so lucky to have such amazing student doctors who are not only helping our community, but helping to inspire the next generation of doctors simply by being their charitable selves. Thank you for all that you do. If you have any comments or questions about what we do at Promise Clinic, please attach a comment to this post or find us on Facebook.